Performed live at CONvergence 2016, here is the (not exactly canon) Gargoyles meets The Spectacular Spider-man meets Young Justice Radio Show featuring Black Manta’s Celebrity Hot Tub. In 2014, CONvergence (the convention I co-founded many moons ago) was lucky enough to get to host a 20th Anniversary Celebration of Disney’s Gargoyles. 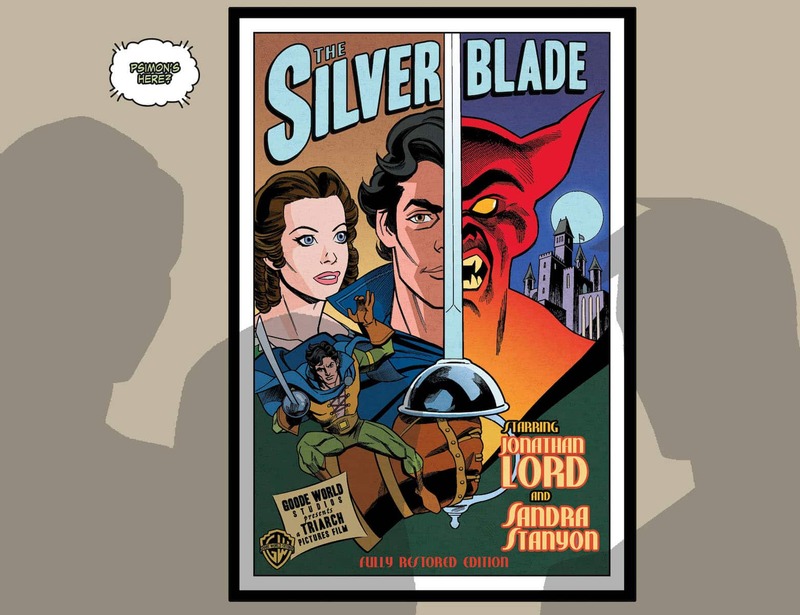 Our Guests of Honor that year included four people with ties to that series: Gargoyles creator Greg Weisman, the voice of Demona Marina Sirtis, Supervising Producer Frank Paur, and Lead Character Designer Greg Guler. At previous Gargoyles “Gatherings”, Greg had written Gargoyles radio plays to be performed by a mix of voice actors from the show who were on-hand to play their roles and fans from the convention to fill out the rest of the cast. These were tongue-in-cheek stories that frequently broke the fourth wall and became increasingly more convoluted and absurd as they carried forward their continuity from year-to-year and eventually included mash-ups with other Greg Weisman projects including The Spectacular Spider-man animated series. 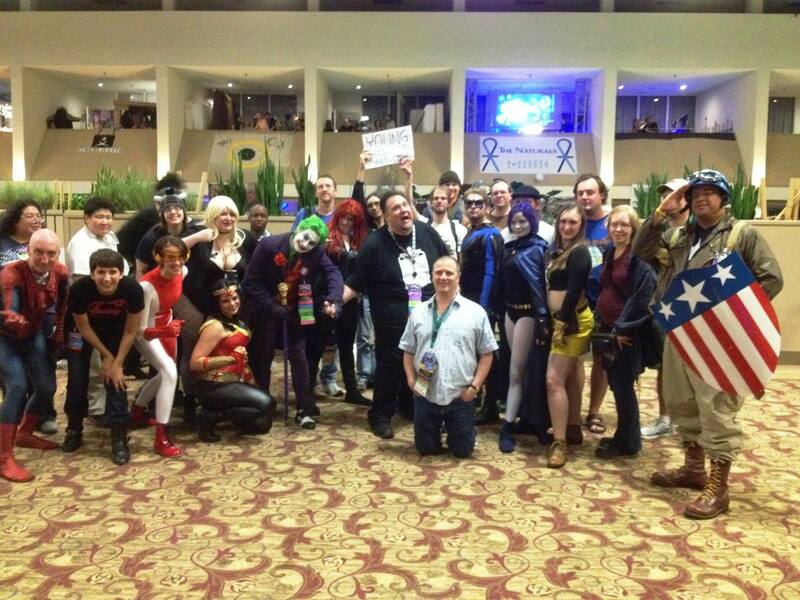 Greg generously decided to continue this tradition at CONvergence 2014, expanding this madness to include characters from Young Justice. So with only Marina Sirtis on hand to play both Demona from Gargoyles and her character Queen Bee from Young Justice, a large cast of fan actors were auditioned and cast from the fans at CONvergence. The play was called “Recruits” and you can watch the video of the event below. 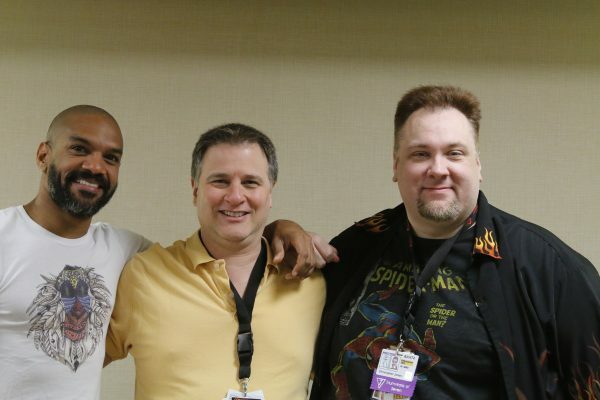 When Greg Weisman returned to CONvergence in 2016, he was joined by Khary Payton (the voice of Aqualad on Young Justice and Cyborg on Teen Titans). From the moment we knew these two were coming to CONvergence I was hoping we could get Greg to not only bring us another radio play, but that we could incorporate an unproduced gem of an idea called Black Manta’s Celebrity Hot Tub. OK, more explaining. 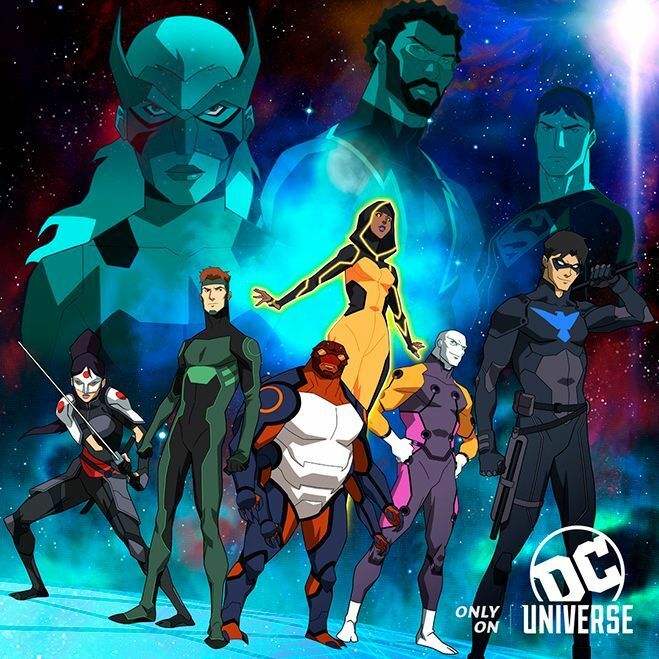 Back when Young Justice and Green Lantern: The Animated Series were airing back-to-back on Cartoon Network as part of a programming block called “DC Nation,” Greg and Khary pitched Black Manta’s Celebrity Hot Tub for the series of comedy shorts that aired between the two shows. In one of history’s great tragedies, these shorts went unmade. However these shorts were repurposed into segments in the CONvergence 2016 radio show, so now you can get a taste of the glory that might have been. We had two separate sessions of auditions at CONvergence to fill out the sprawling cast, followed by Greg, Khary and myself hiding away in secret corner of the hotel and sneaking lunch while casting the whole show. The day after the final cast list was posted we had an hour to run through and rehearse before the live performance! Many thanks to Greg Weisman for somehow finding the time in his busy schedule to write this crazy thing and to everyone who helped make the show happen, and thanks to the CONvergence Video Team for getting the video put together. The video isn’t fancy (single camera from the back of the panel room), but the audio is reasonably clear and we even have subtitles you can enable in the YouTube video! I wanted to show you all the art print I recently colored. 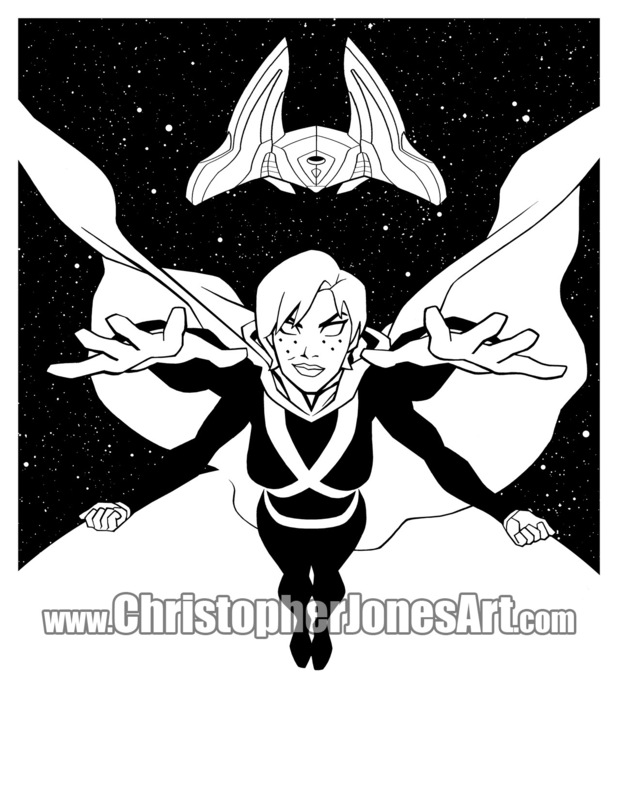 I created a black-and-white line art version of this print for CONvergence 2014, to commemorate the radio play that Greg Weisman wrote then produced entirely at the convention. But I just colored it this month. This is the very first time it’s been colored. And here’s a recording of the radio play, “Recruits”. 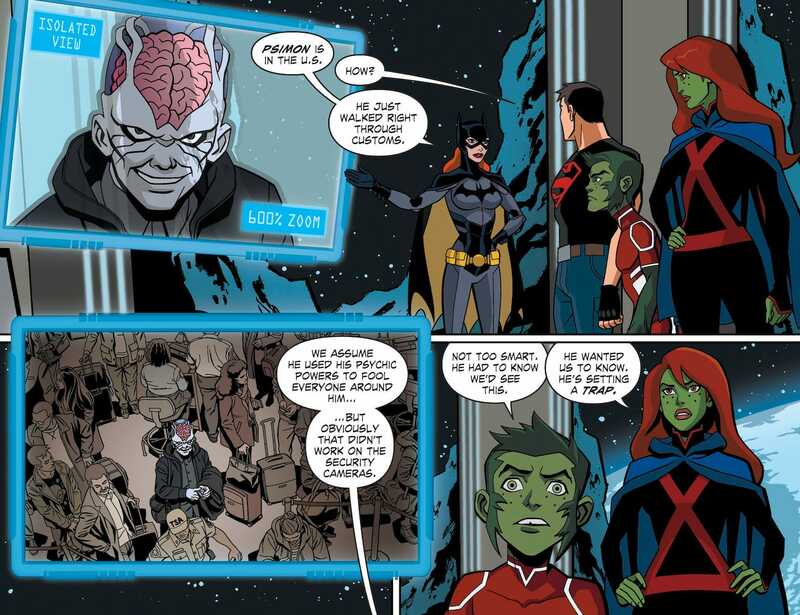 It is a mashup of Young Justice, Gargoyles, and The Spectacular Spider-Man. and it features CONvergence 2014 Guest of Honor Marina Sirtis. 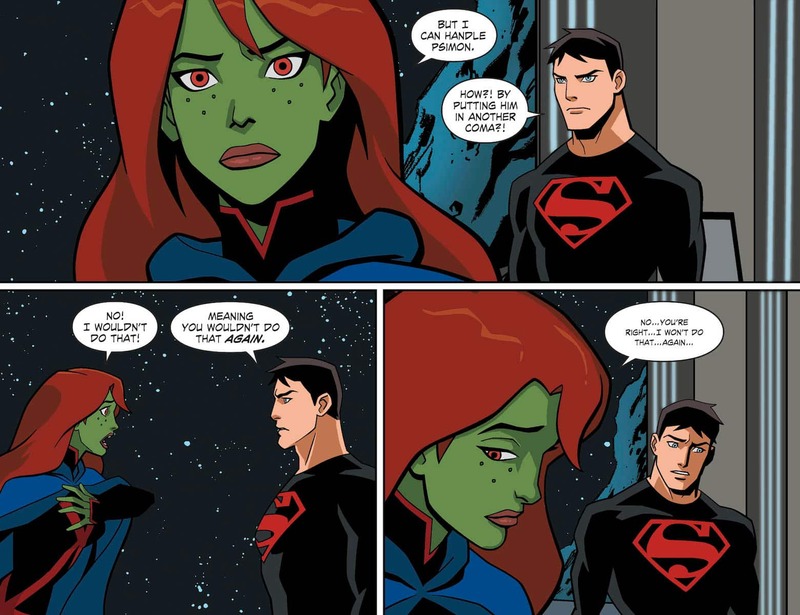 So, some of us are trying to bring Greg Weisman back to CONvergence this year. How, you ask? Well, he’s been good enough to volunteer to be our guinea pig for a new program CONvergence is piloting called “Fan-Featured Guests” – guests brought in by an outside group with approval from and working directly with the CONvergence Guests of Honor Department. The funding for bringing in a Fan-Featured Guest is provided entirely by the group bringing the guest and can be crowdfunded, fund raised, or privately donated. This means that the budget to have Greg as a guest at CONvergence 2016 isn’t coming from the convention budget, but rather from a third party – in this case, a crowd-funding campaign that Hal and I are running. As of right now, it’s 70% funded! 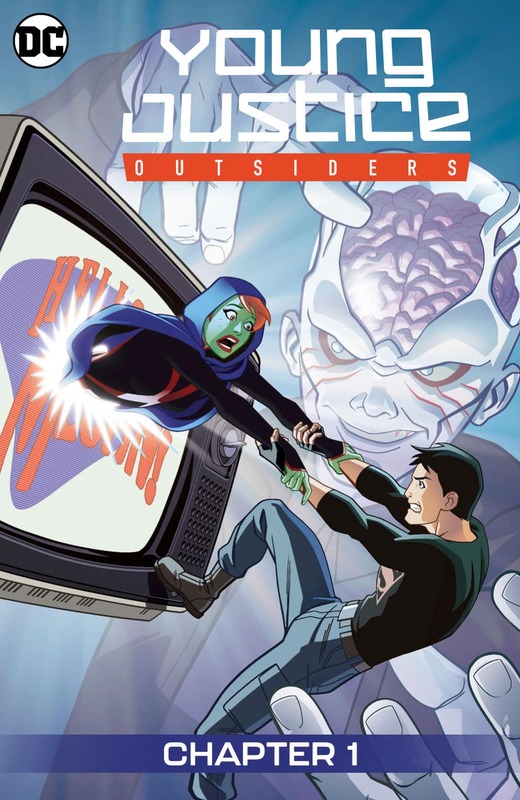 The last time Greg was a guest at CONvergence in 2014 he wrote and produced the radio play at the beginning of this post – a mash-up of three of his TV shows: Gargoyles, The Spectacular Spider-man, and Young Justice. Marina Sirtis was also a Guest of Honor at CONvergence that year and she provided the voices of her characters Demona from Gargoyles and Queen Bee from Young Justice. The rest of the characters were cast from volunteer attendees of the convention, during the convention. I wasn’t kidding when I said Greg produced the play at the con. He held auditions and everything. I mean, this was a hell of a thing. Greg has said that if he returns to CONvergence this year, he’ll write and produce another radio play, and this time we’ll have Khary Payton to lead another cast of fan volunteers. I would do a new art print to commemorate the new play as well. You can probably tell where I’m going with this. 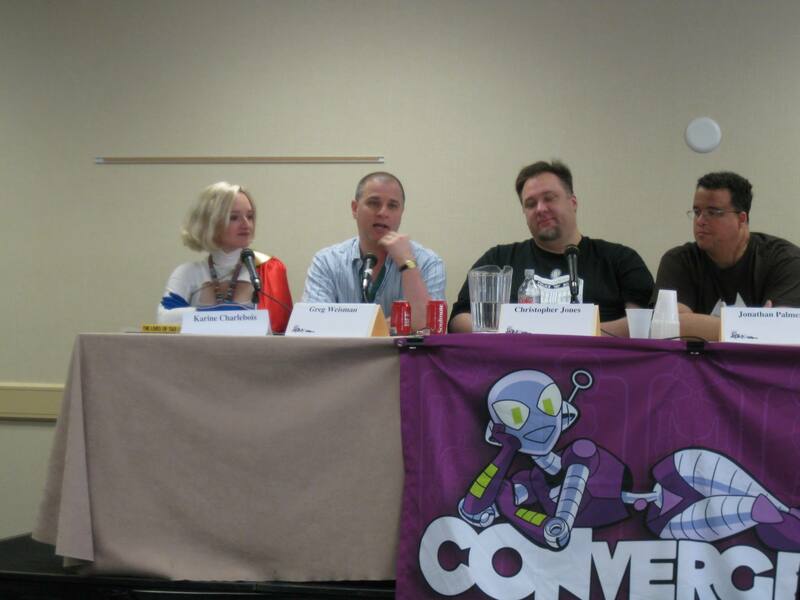 I’m inviting you to contribute to help bring Greg Weisman as a guest to CONvergence 2016. We have a number of rewards for various contribution amounts, including the new color version of the 2014 radio play print. 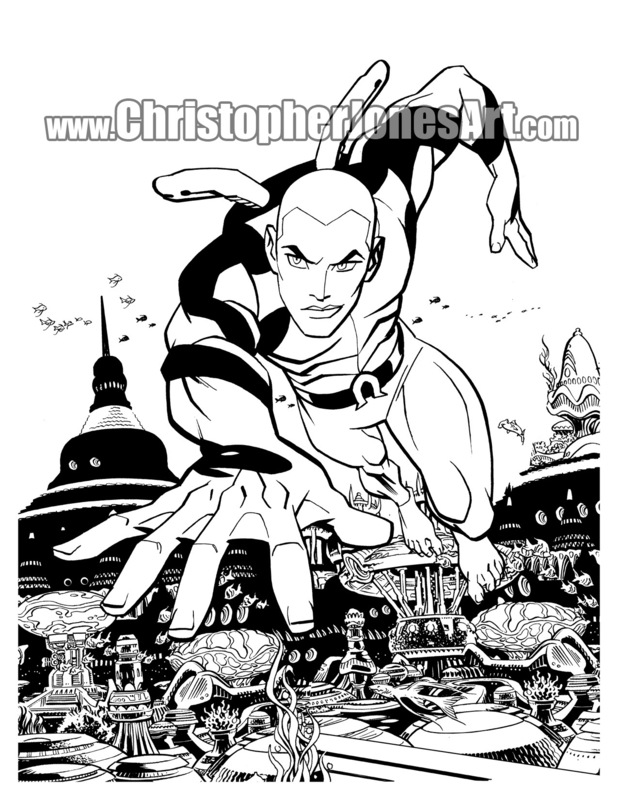 I’ve also donated copies of prints I’ve done based on Young Justice and on Greg’s novel and audio play Rain of The Ghosts, which will be signed by both Greg and myself. 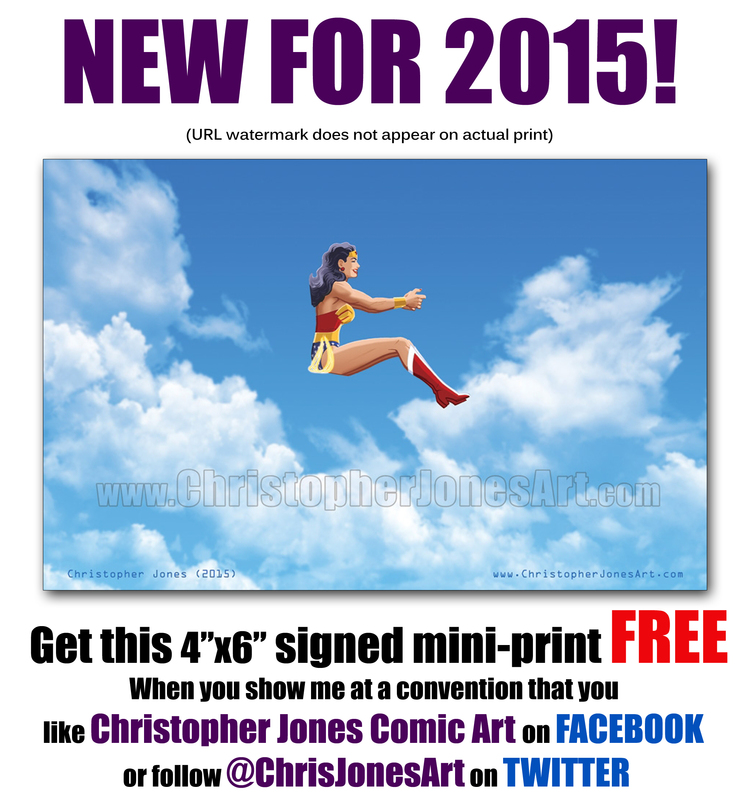 Those prints can be picked up at the convention or mailed out if you are unable to attend. Hold the phone. Why would you support the campaign if you are unable to attend? Well… Some of the rewards are things like Khary Payton (Aqualad, Cyborg) recording a custom greeting for your voicemail. You could have Greg Weisman or me do one too, but if it was ME I’d want the Khary Payton option. Or you could have one of the art prints mailed to you. 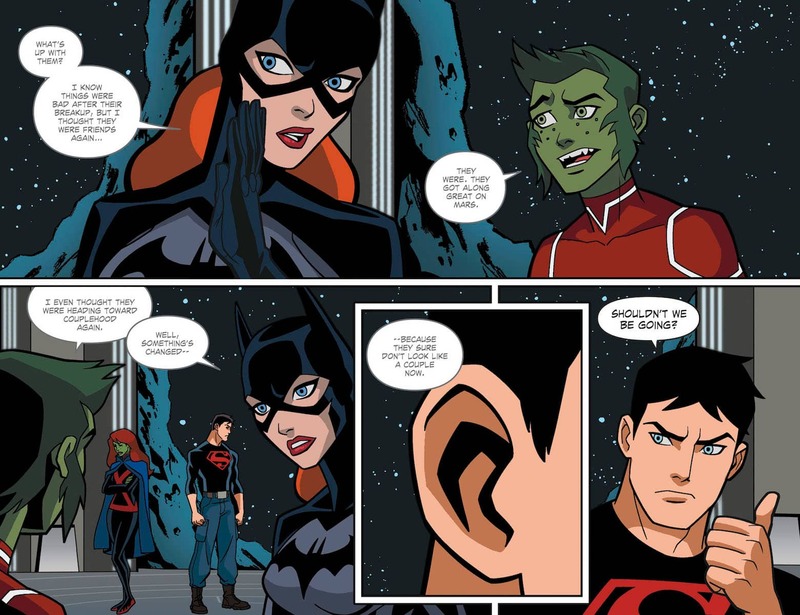 On top of that, the radio play will be recorded and made publicly available after the convention, so that’s a new, original production by Greg Weisman for everyone. Also, if you don’t want “Black Manta’s Celebrity Hot Tub” to be a real thing, I don’t know what’s wrong with you. 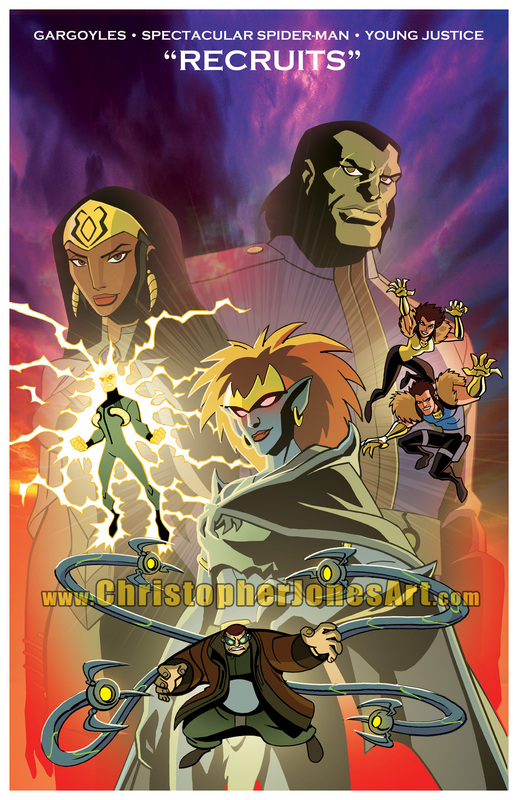 Because it will definitely be a real thing if we can get Greg Weisman to CONvergence 2016. Click here to view the crowdfund campaign. And please share this with your friends. Together maybe we can all give this effort the last push it needs! 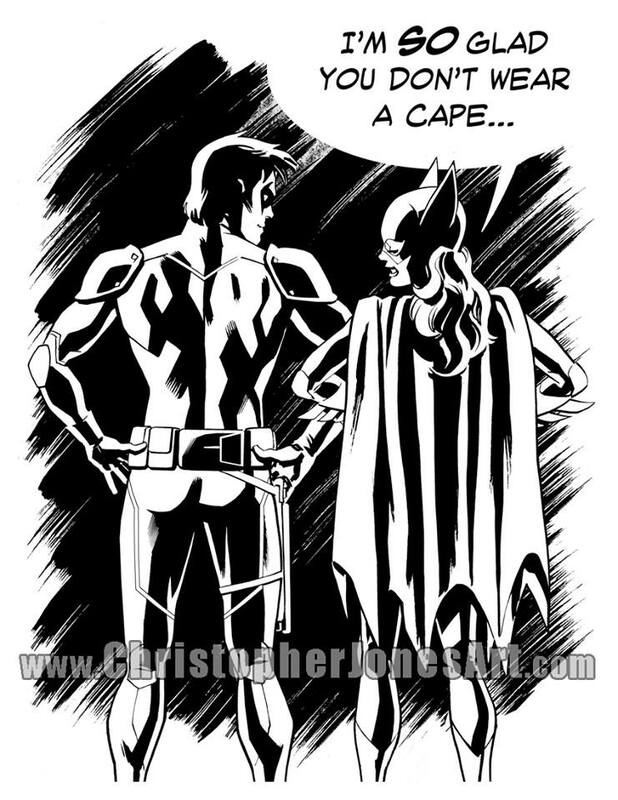 Christopher Jones at Geek.Kon 2015! I’m on the road to Geek.Kon in Madison, WI this morning! This is my second year as a guest at this fun little multi-genre Wisconsin convention. 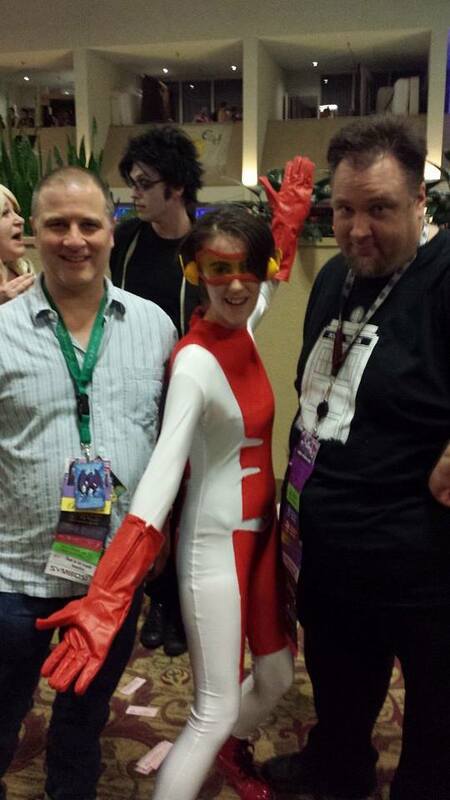 I had a great time last year meeting all the great fans at Geek.Kon, and am excited to be back again. This year should be even more epic as my friends and comics collaborators Greg Weisman and Mark Stegbauer will both be guests as well! You can check out the rest of the prints I’ll have available in my Etsy store, or else just stop by my table in the Geek.Kon Dealers Room. Which reminds me, don’t forget to show me that you follow me on twitter or you like my Facebook page to get your FREE mini-print! 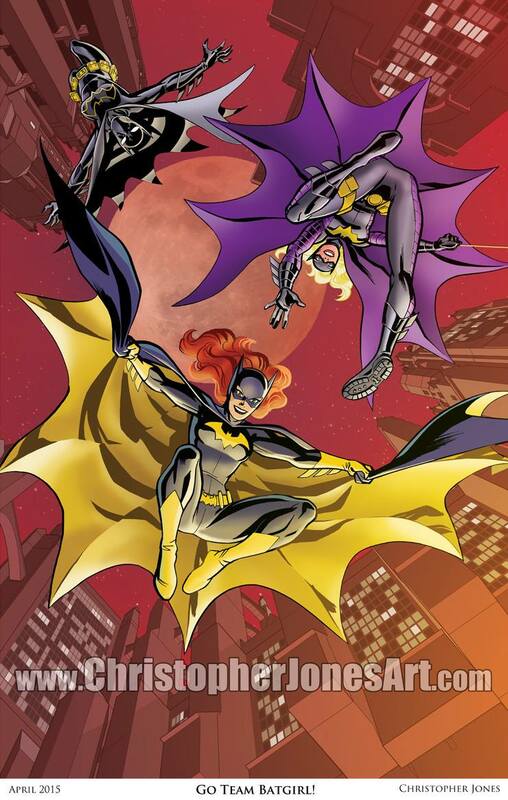 Lastly, Ever since Greg Weisman (creator of Disney’s Gargoyles and was co-producer of the Young Justice) and I worked on the Young Justice comic book together, we look for any opportunity to appear at a convention together or work on a new project together. I created a promotional poster as a stretch goal for Greg’s kickstarter to produce a full-cast audio adaptation of the first novel in Greg’s Rain of the Ghosts series. For the first time, I’ll have 11″x17″ full color hardcopy versions of my Rain of the Ghosts print available for sale for the special Geek.Kon price of just $5 – so be sure to pick one up and get it signed by both Greg and me! Okay ‘Sconie geeks! See you at Geek.Kon! 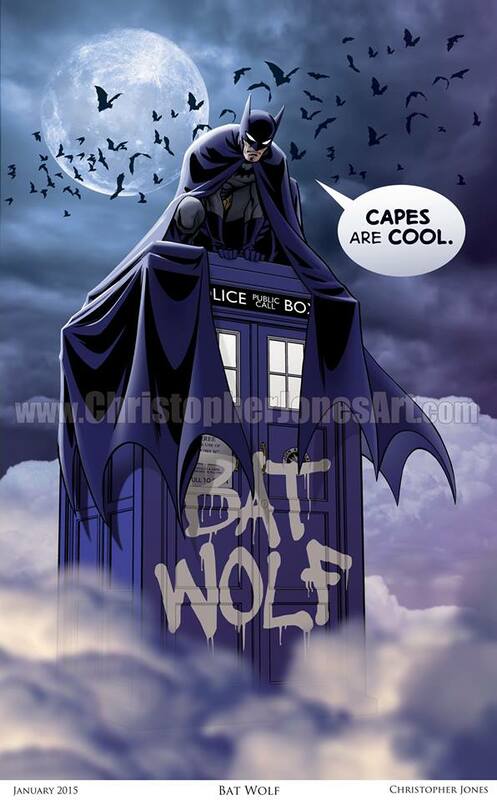 Conventions | Christopher Jones | August 21, 2015 12:47 pm | Comments Off on Christopher Jones at Geek.Kon 2015! I created this digital print as one of the rewards for the Rain of the Ghosts full-cast AudioPlay Kickstarter. Now Greg wants to bring the story to life as a full-cast audio drama. Not just an audio book with the text of the novel being read by a single performer, but a full cast of 20 actors with sound effects and music! Greg has already paid to record the vocals out of his own pocket, but funds are needed to complete the post-production work and bring the story of Rain Cacique and her friends fully to life. I created the image you see above as one of many rewards being offered to supporters of the Kickstarter campaign. The digital download print you can earn as a reward is at much higher resolution than this preview version and doesn’t have the big “Rain of the Ghosts” text in the middle of the image! This is a great project that’s worth supporting. Check out the Kickstarter page to see the great rewards for backing the project, plus the amazing cast Greg has assembled for Rain of the Ghosts, featuring fan-favorite voices from Greg’s many animated series. 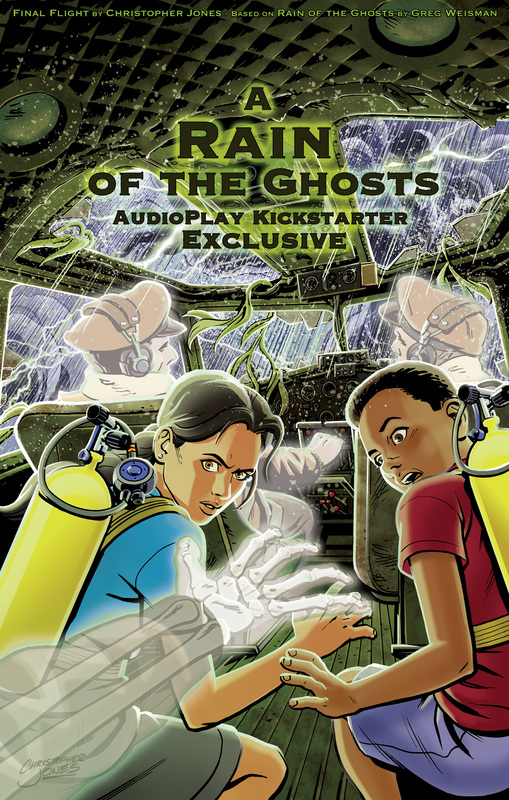 Support the Rain of the Ghosts AudioPlay Kickstarter!